Submit your nominations here for 2019! As defined by the ASHE By-Laws, there are two graduate representatives. 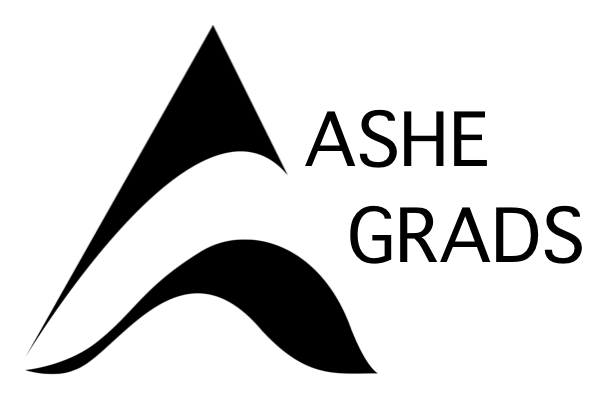 While the ASHE Graduate Representatives have traditionally conducted numerous responsibilities, there is also substantial room within the role to develop projects and initiatives as of interest to those within the role. To help with the financial obligations of travel to and participation in the annual ASHE conference, graduate student representatives receive a small stipend for the conference and/or in-kind support (e.g., hotel rooms). The ASHE Executive Director will relay specific support in place for the individual conference. The ASHE Graduate Student community is seeking a current graduate student to serve as a web consultant for a one-year appointment during 2019. The primary responsibility of the role is managing the ASHE grads online web presence, including our WordPress website and social media. The anticipated time commitment of this role is 3-5 hours per month, with peak times leading up to and during the ASHE annual conference in November. The list below includes some of the initiatives and programs that ASHE graduate members serve. These opportunities for service take place at the the annual conference and throughout the year. We continue to find ways to better communicate and serve our members. If you’re interested in participating in a subgroup, or have an idea for a new initiative to serve the association, please let us know.